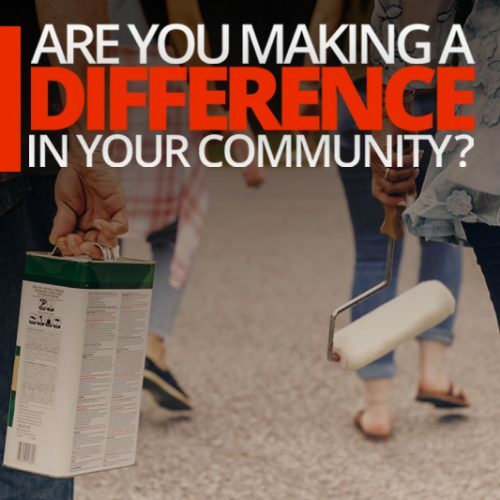 For more details regarding the sponsorship opportunities or general event questions, contact Dawn Cary at sumterbyway@gmail.com or call her at 352.267.8801. Thanks SECO for your support. string(28) "Scenic Sumter Heritage Byway"
string(43) "Scenic Sumter Heritage Byway shared a post." string(41) "Rails to Trails of the Withlacoochee, Inc"
string(1460) "It’s alligator nesting season! These fascinating ancient reptiles are on the move looking for mates right now, and the males are bellowing loudly to defend their territories. During late April, May and June, females seek out appropriate nesting habitats to build nests of vegetation, sticks and mud, then lay 20 to 50 white-colored eggs, which will hatch in about 65 days. Adult alligators often kill young alligators, so the smaller animals are frequently moving in response to the movements of adults. For these reasons, it is more common to see alligators along and actually ON the Withlacoochee State Trail in April and May. Watch for them and give them wide berth. How can you help alligators? View From a Safe Distance. Always remember, if an alligator changes its behavior, hisses, or lunges at you, you are too close. When participating in outdoor activities, always give wildlife space and a route to escape. It is illegal and dangerous to mess with alligators! Do Not Feed Alligators. We can’t stress this enough. Do NOT feed Alligators. Not only is it illegal, but an alligator that gets used to being fed associates people with food and cannot distinguish between a “handout” and a “hand”. Alligators that become aggressive are considered “nuisance gators” and will likely have to be killed to prevent possible harm to humans. p.s. I took this picture with a very long telephoto lens, from a very safe distance." string(130) "Thank you Scenic Sumter Heritage Byway for the opportunity to share the story of Richloam and the Richloam General Store with you." string(38) "UF IFAS Marion County Master Gardeners"
Did you know the Sabal Palm is our state tree ? The sabal palm, or cabbage palm, is native to Florida and coastal regions of North and South Carolina and Georgia, and is the state tree of both South Carolina and Florida. the seeds. Sabal palms are considered cold hardy to about 15°F, or about USDA Zone 8b. 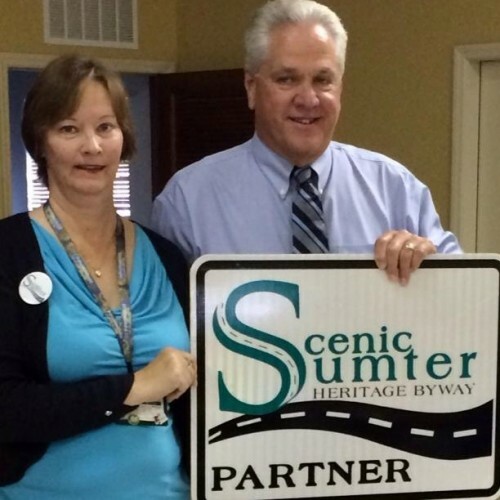 http://edis.ifas.ufl.edu/pdffiles/ST/ST57500.pdf"
string(44) "Scenic Sumter Heritage Byway shared a photo." string(531) "It's #WildlifeWednesday and Florida Gopher Tortoise Day! Gopher tortoises are found in all 67 counties in Florida. They are unique because they are the only land tortoise found east of the Mississippi River. They can live to be more than 60 years old, and have been around for thousands of years. The gopher tortoise is a keystone species that over 350 other species may live with or depend on. The burrows they dig are home to other animals that would not survive without them, including the endangered Indigo Snake. #FLStateParks"
Scenic Sumter Heritage Byway shared a post. It’s alligator nesting season! These fascinating ancient reptiles are on the move looking for mates right now, and the males are bellowing loudly to defend their territories. During late April, May and June, females seek out appropriate nesting habitats to build nests of vegetation, sticks and mud, then lay 20 to 50 white-colored eggs, which will hatch in about 65 days. Adult alligators often kill young alligators, so the smaller animals are frequently moving in response to the movements of adults. For these reasons, it is more common to see alligators along and actually ON the Withlacoochee State Trail in April and May. Watch for them and give them wide berth. Do Not Feed Alligators. We can’t stress this enough. Do NOT feed Alligators. Not only is it illegal, but an alligator that gets used to being fed associates people with food and cannot distinguish between a “handout” and a “hand”. Alligators that become aggressive are considered “nuisance gators” and will likely have to be killed to prevent possible harm to humans. 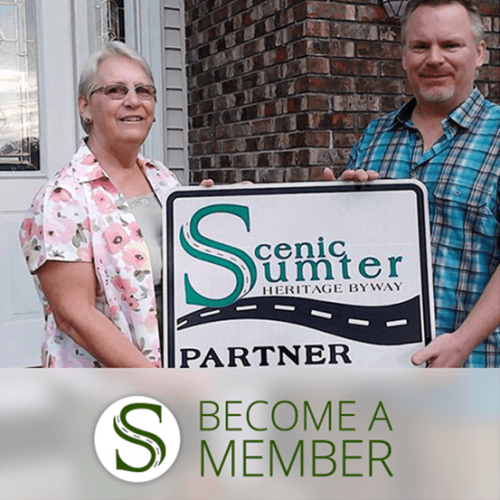 Scenic Sumter Heritage Byway shared a photo.